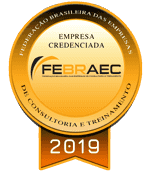 Programs for Brazilians who want to know the business environment in the USA. The program will be directed at the segment of interest to the participants. Program: presential classes and visits to companies in the student’s area of interest. A program for foreigners (especially Americans) who wish to know about the business environment in Brazil. The program will be directed to the area of interest of the participants.